in fog as thick as stew. There is something about Chris Van Dusen–I’m not sure if it is his bouncy rhymes or his bright, beautiful pictures–but the boys go wild for his books. We haven’t had this book terribly long, but it is very frequently requested and seems on track to be as popular as perpetual favorite If I Built a Car. 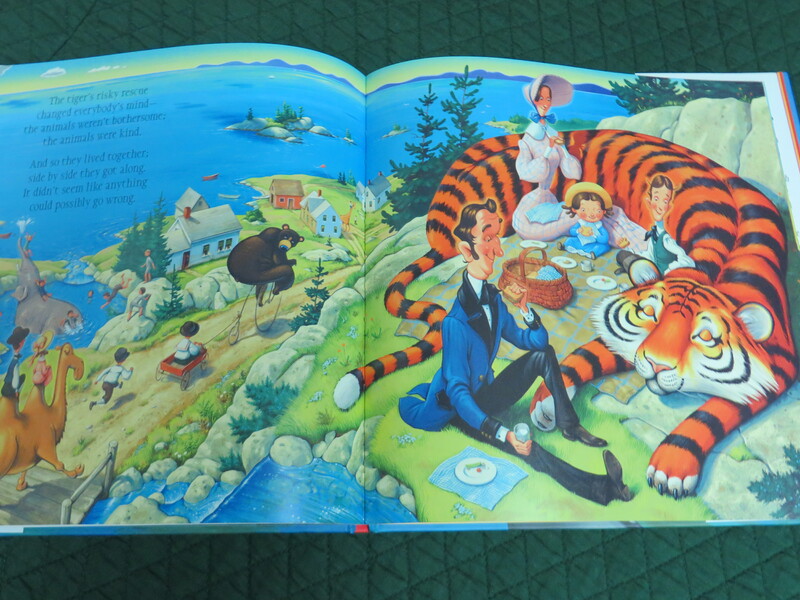 In it, fifteen circus animals find new, much improved, homes on an island in Maine when the ship they are traveling on sinks (finding the animals on the pages is a large part of the fun). Caveat: The inspiration for this happy story was incredibly grim; Mr. Van Dusen has completely reimagined a true story of an awful shipwreck. Therefore, I suggest saving the author’s note in the back of the book for adults. We went to see some. . .
A girl and her toy monkey imagine going to see all kinds of animals. That’s it, really (with one small visual twist at the end). 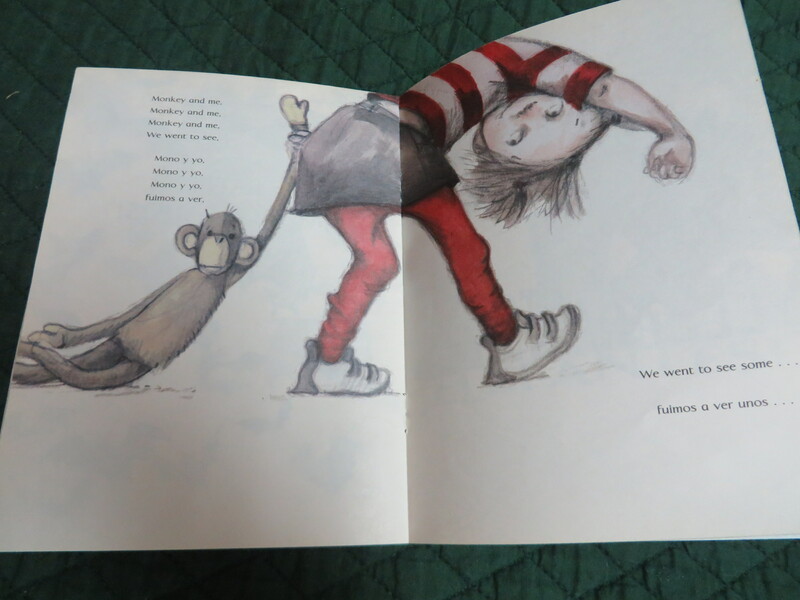 Visual clues give a hint to what type of animal they will be going to see next (in the photo above, they are anticipating elephants), which is fun, and this is an outstanding read aloud; the repetitious refrain (quoted above) is perfect (if ungrammatical). When the boys were very, very small, they each loved this book. Like When Dinosaurs Came with Everything, it arrived in a Cheerios box in 2008 (which was a truly banner year for the spoonfuls of stories promotion in our house). The version we have is very small and, well, it was free, so I had no qualms about flapping it about to make the boys laugh (especially on the bats page, to make the bats “fly”). The boys have outgrown it now, but this book is highly recommended. 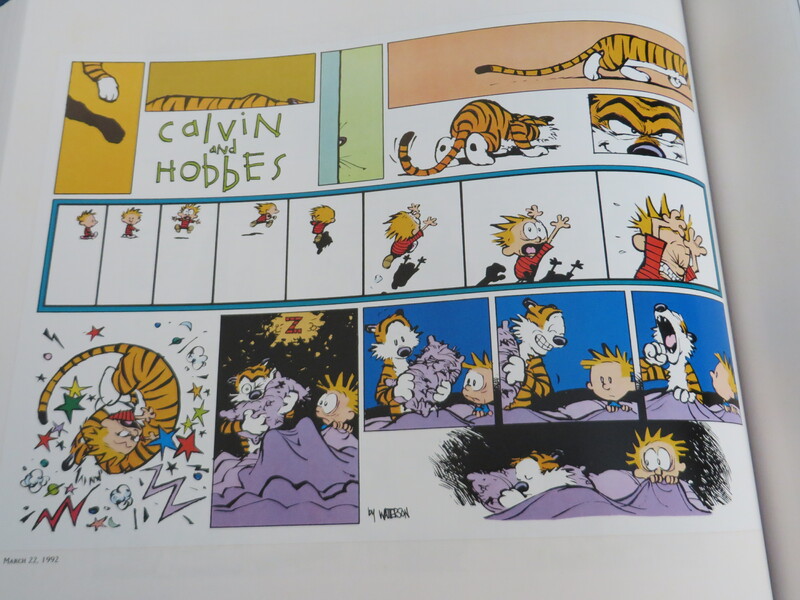 When I was a kid, Calvin and Hobbes was the highlight of the comics page. When this big box set came out in paperback a bit over two years ago, I pounced. Last year, I started reading it to my oldest before bed. Now he is devouring it without me (but he loves to show me the strips he thinks are the funniest, like the one above). 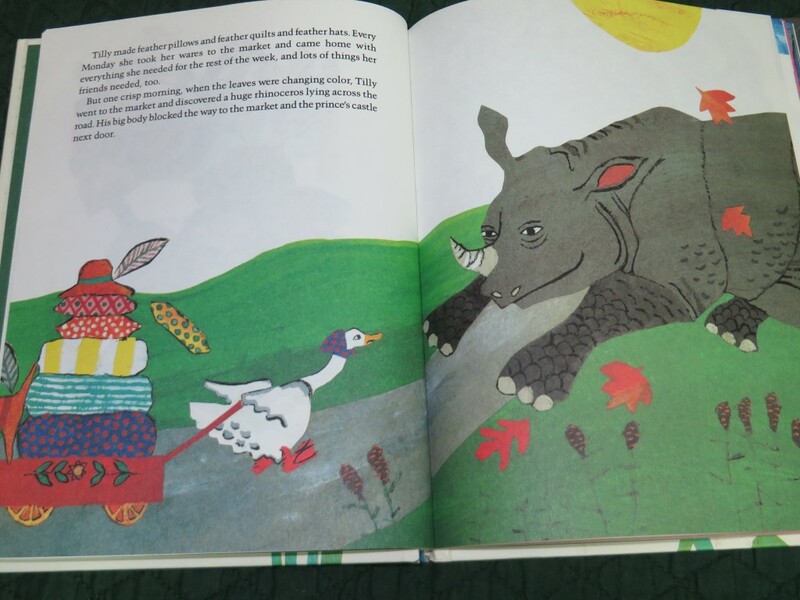 In this charming tale, a tiny goose with a gift for friendship and an overbearing rhinoceros with an interest in riddles slowly form an unexpected bond. This is a particular favorite of my youngest, who loves riddles and animals and is very interested in how friendships work. Elliot is a tiny, pastel-spotted, New-York-City-dwelling elephant. He generally works around his size limitations, but often goes unnoticed and is nearly overcome by loneliness (and cupcake cravings) until he finds “someone even littler than himself, who had an even bigger problem.” In helping this someone (an adorable white mouse), Elliot’s problems are solved. 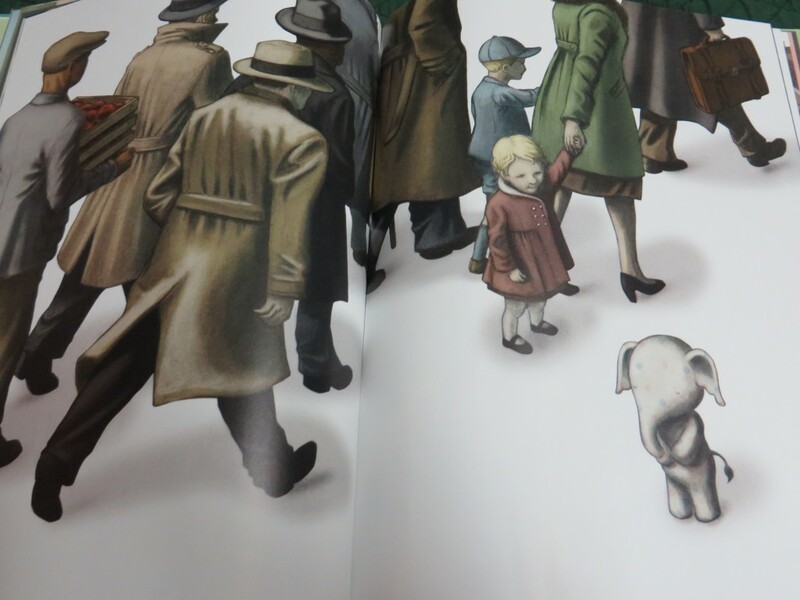 This deeply cute book manages to stop short of being saccharine and is very popular. 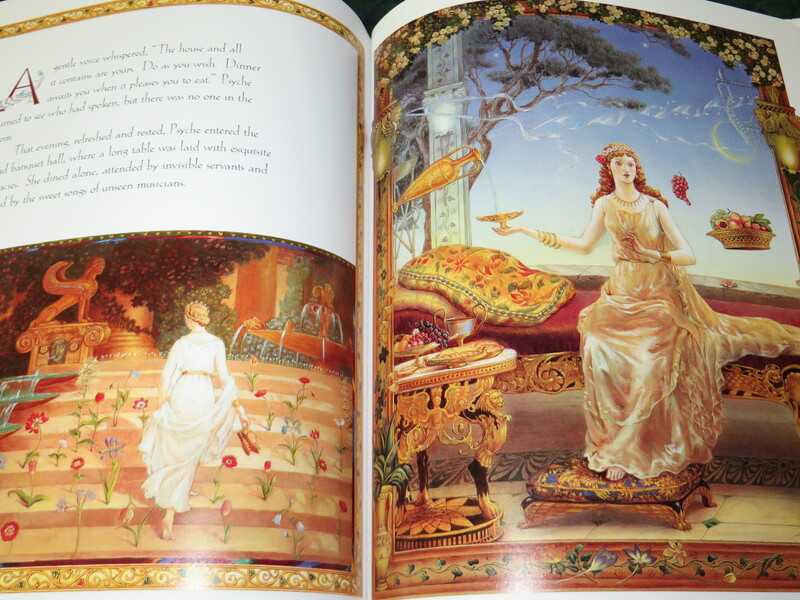 Several fairy tale archetypes originate with the Greek myth Cupid and Psyche (including, especially, Beauty and the Beast). This beautiful version by a mother-daughter team (don’t judge this book by its cover; it is much more compelling inside) draws from the best parts of several ancient variants and retains the darkness and interest of the myth. The boys are fascinated with it.